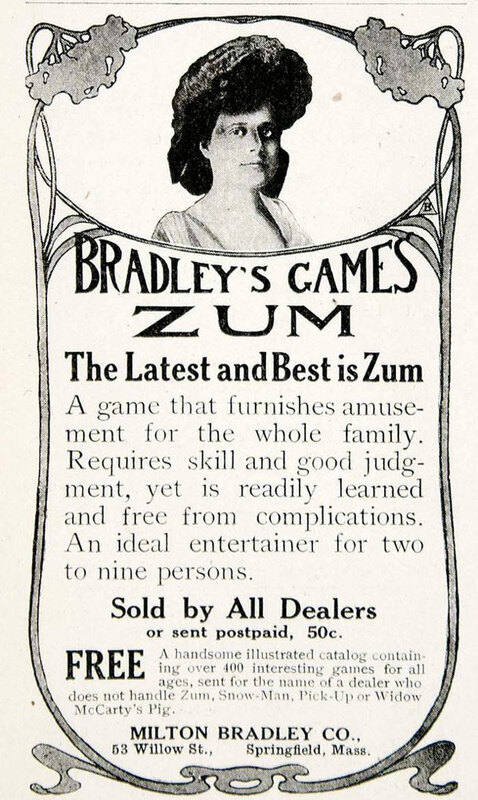 Zum card game published by Milton Bradley Co., c.1905. 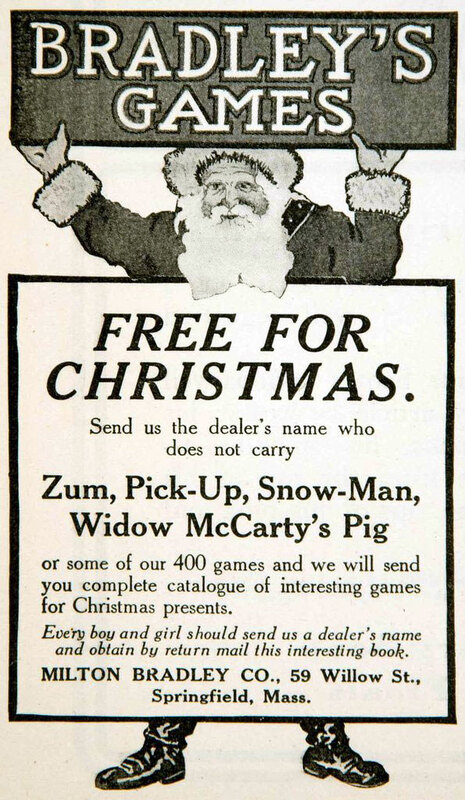 Above: apart from Zum the adverts also list Pick-Up, Snow-Man and Widow McCarty’s Pig in their range of 400 games. 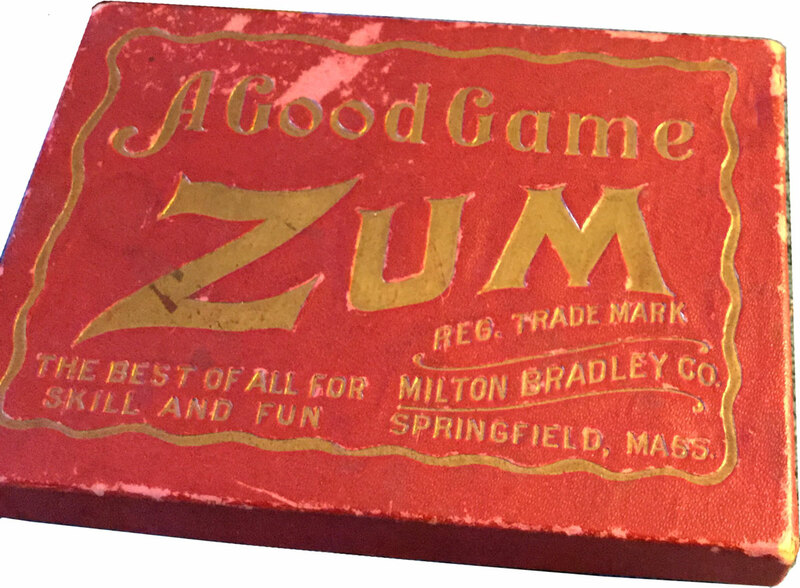 Above: box from Zum card game published by Milton Bradley Co., c.1905. 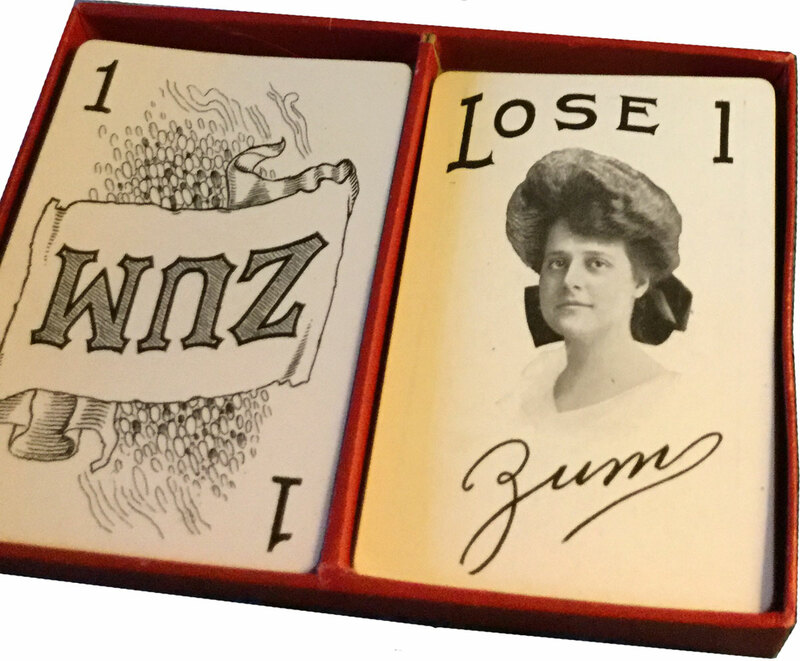 The game has 48 cards numbered 1 to 48, plus twelve cards with “Zum” girl and one “chance it” card. 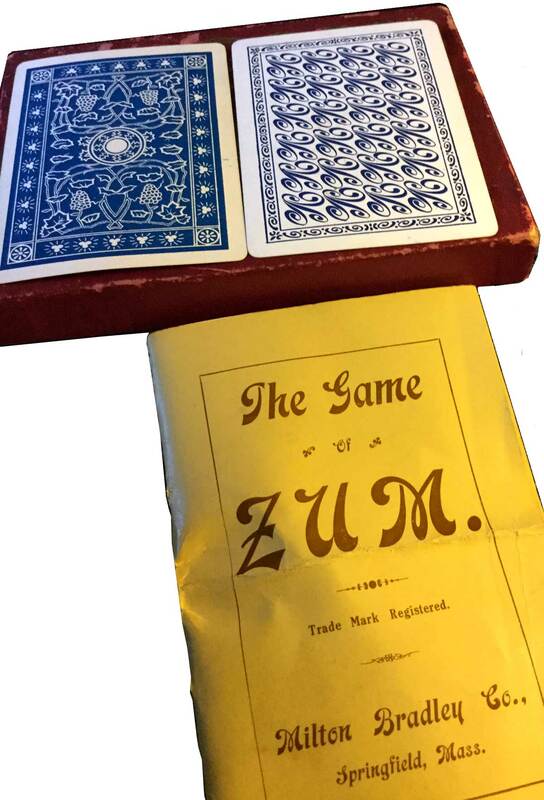 Images courtesy Darlene Zerhusen and Rex Pitts.